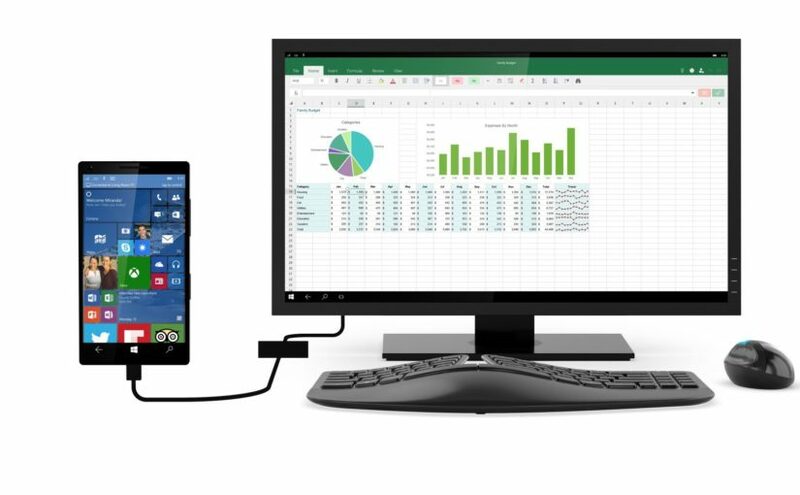 Before going too far down the path of discussing using your phone as a work computer, it’s worth discussing Windows Continuum. If you haven’t seen it, it’s worth a watch. Microsoft is keenly aware that people are going to start wanting to use their phone as a desktop environment. It’s simply a matter of time before they become far more integrated – as drive density increases, CPUs become less battery hogs and hardware becomes better, people like me will start popping up more and more without even necessarily being aware of the shift they are making. That’s all well and good, but it does make working on a phone a significantly harder and slower experience. I suppose one could be upset with that answer, but I think Microsoft is basically correct – yes, it breaks stuff, and yes, some legacy apps are no longer supported, but progress can’t be thwarted by one legacy app, or you end up with companies still running IE6.0 internally due to ActiveX controls *cough*. Continuum has the advantage of having the easy shortcuts like alt-tab and a mouse that make usability far superior than say, an iPhone. However, it’s missing a lot of the core features that people know and love about Windows (for those who know and love Windows that is). Limited access to the file system is a bit of a miss, and lack of support for non-metro apps will haunt it for a while until application developers get on the bandwagon. I actually love the idea that Windows Continuum stands for, and I really hope they continue developing down this path. If nothing else it shows that Microsoft is actually leading the pack in the desktop/phone crossover space. Only time will tell who wins, but they’ve got a healthy lead in usabability. Previous Previous post: Which OS and Why?